I’m so tired of complaining and hearing others complain (Yet I’m complaining about complaining. LOL!) Lately, I’ve been having a strong urge to be alone to avoid the nagging complaints. I’d rather rejoice than complain. There are a lot of things going wrong in my life and I’d rather rejoice because I know one day all my troubles will be resolved. I’d rather rejoice about the blessings I have. Today lets be joyous no matter what! 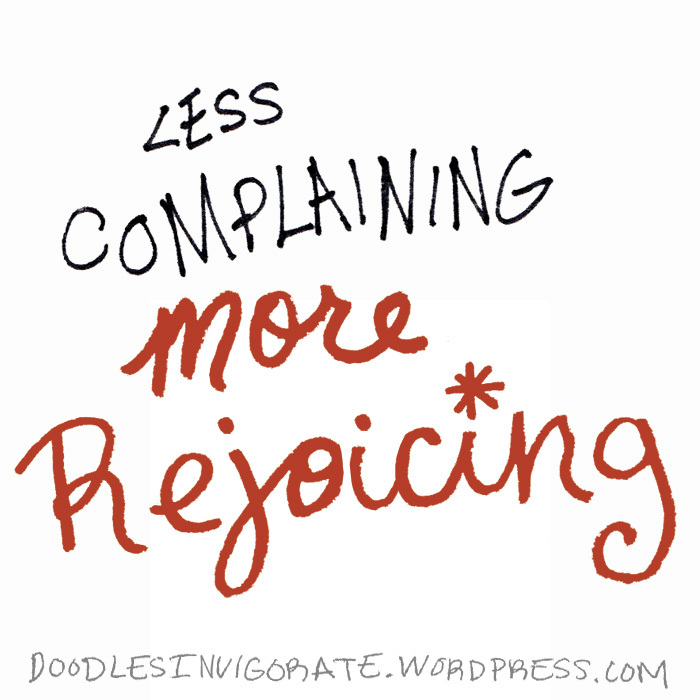 Why complain when you can rejoice?